Supporting the Coordination Of the Activities for the Healthcare and the Adoption of "Tara Bianca Dog House"
The project aims at taking care of the remaining guests of the Tara Bianca kennel in Tolfa (Rome), founded by Anna Maria Szoldatics in 1984. The first project for the support of the Tara Bianca Dog's House was funded by the Nando Peretti Foundation in 2001, and further financed in 2008 and 2009. The kennel has been maintained by volunteers following the death in 2007 of its founder. To date, the shelter still houses more than 100 dogs over an area of 6,000 square meters in rural areas of the Natural Park of Tolfa. Given the scarcity of volunteers' time and the urgent needs of dogs, the Associazione Mondi a Confronto has offered its help for the implementation of this project. The project aims to temporarily care for the dogs, providing them with food, care, a suitable accommodation and a normal social life, especially for older dogs who are the majority. The final aim is to move the about 106 dogs living actually in bad conditions to a better and safer quality of life, also favoring their adoption by privates. The project will be carried out in cooperation with other organizations of volunteers. All dogs will be identified and photographed in order to promote their adoption. Initially, Mondi a Confronto will move a group of 3 or 4 dogs, the more social ones, into boxes where they may be re-educated to the presence and contact with humans, while looking for people interested in their adoption. The adoption is conditioned to a preliminary sterilization. A group of 20/30 dogs will be also moved to the "Dog Village", another kennel, where some volunteers will provide them with a proper training in order to encourage their socialization with man. Regarding the dogs remaining in the private property, a person will take care of them until their transfer. 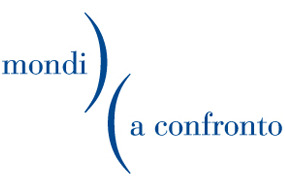 The Association Onlus Mondi a Confronto aims to safeguard the environment and the animal species, in order to achieve healthy relationship with the world and the protection of vulnerable groups as the elderly, children and mistreated animals. Throughout education, the Association Onlus Mondi a Confronto means to rediscover the ancient relationship with animals and pets in particolar. Cats and dogs specially are extremely helpful to overcome critical moments, and in regaining a better quality of life. Recently established, the Association Onlus Mondi a Confronto is successfully bringing on the project in the venue of la Casina Raffaello in Villa Borghese in Rome. The association is planning a great amount of events, such as exhibition, conferences, and round tables that shows the story of the long friendship between men and dogs in the attempt of breaking down the still exhisting prejudicies around the issue, in order to regain the benefits of the relationship with this animal and to restore his place in the society which has been taken away from him. This project received further grants from the Nando Peretti Foundation in 2012 and 2014.